In Benue state, it has been discovered that depending on Nigerian security forces to end the killings of Benue people has turned to an uphill task. This is based on the fact that the security agents remained the number one suspects for keeping and supplying arms used by Herdsmen. The Chief Press Secretary to the Benue State Governor, Terve Akase, on behalf of the governor has accused the Nigeria police of taking sides with Fulani herdsmen by claiming that Benue militia groups were armed with AK 47. He told newsmen that “Statement by Police spokesman on militia groups being armed is very funny. I think police is trying to neutralise killings in Benue State. 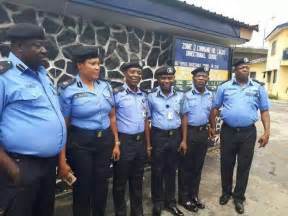 “It should be a concern to Nigerians, the police are not supposed to take sides, Jimoh Moshood has positioned himself as spokesman of herdsmen by his statement. He would not have made such a statement if he was not herdsmen’s spokesman. “Why would PPRO grant an interview and try to play down on killings in the State. “What kind of country are we running? That shows Nigeria Police don’t have respect for human rights. Police Force set up to protect Nigeria is trying to play down killings; that means that Benue people have been left to their faith. “Nigerians need to know that police has taken sides. This proves that there is more to the killing. “His statement is deceitful. What has happened in Benue should be condemned. The police seems clueless in who are deliberately ignoring their duties. He further challenged the police to arrest and parade those behind the killings since they have evidence. “Why is the IG yet to summit report if they have evidence? Ortom is a peaceful man who declared amnesty on armed youths in the state. More than 800 youths were disarmed and 700 weapons recovered and destroyed by police.